I thought it would be fun to share my Instagrams from this week. But don’t let them fool you into thinking I am crazy healthy. I am a big believer in balance in all areas of my life and this week was no exception **cough–In-n-Out–cough**! 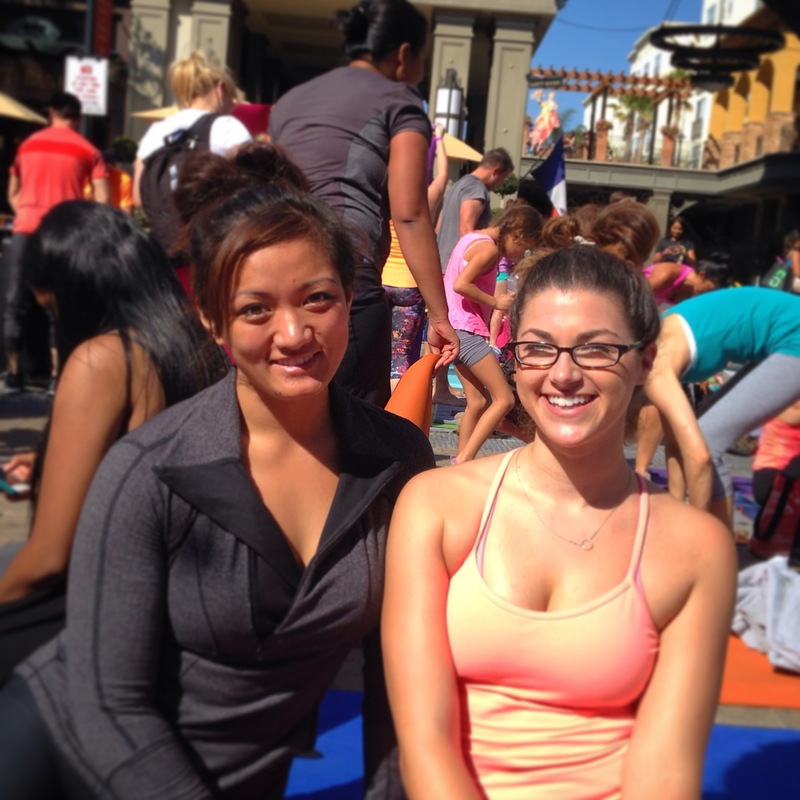 On Sunday, my friend and I participated in Yoga on the Row! It was an outdoor yoga class sponsored by Lululemon. I am so happy that I participated. It was so much fun to do yoga outdoors with a few hundred people with the sun shining on us early in the morning. I also have to give a shout out to Suja Juice, Pressed Juicery and Vita Coco for all the free drinks. Vita Coco Cafe is my newest obsession. It tastes like coffee chocolate milk! 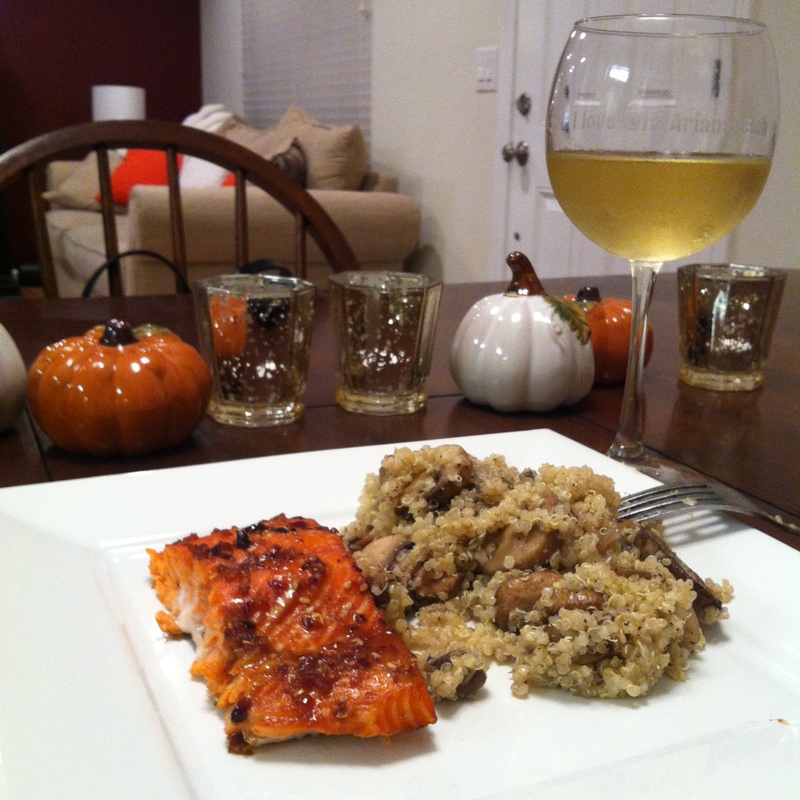 While browsing Pinterest on Monday, I stumbled upon this Garlic Mushroom Quinoa recipe and knew that I had to make it for dinner. I added shallots to the recipe along with Very, Very Teriyaki marinated salmon. It was even better then it looks! Also how cute are my new candle holders and pumpkins? They are all from the Dollar Store! 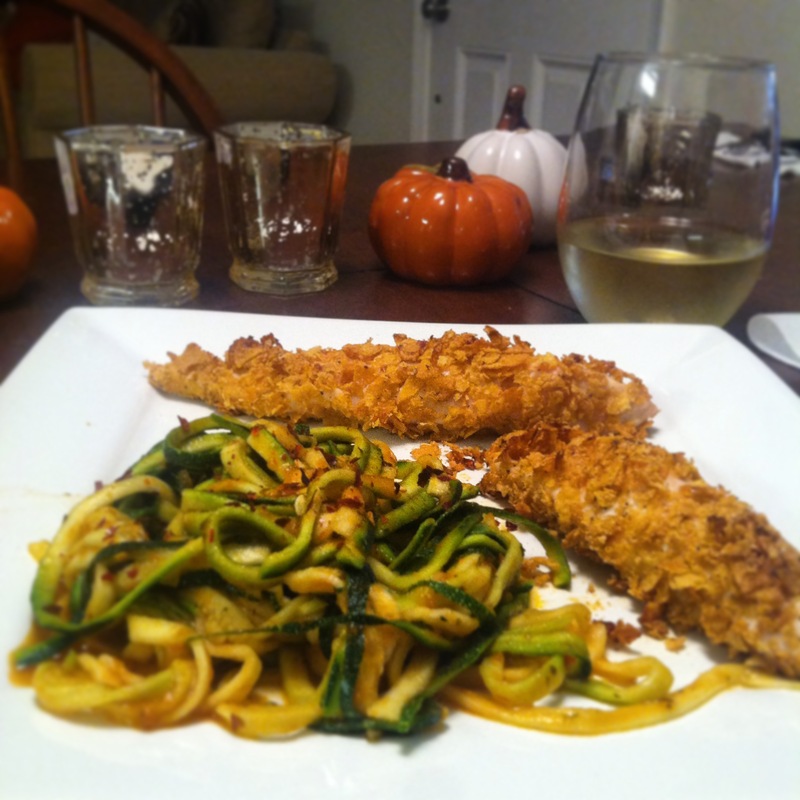 Too keep up the healthy dinner trend this week I made corn flake chicken with a side of zucchini pasta. My mom bought me a Veggetti and it is the coolest thing ever! I will definitely be using it more often. It is so easy and fun. I also made mug cake for the first time. Seriously…CAKE IN A MUG! My mind was blown and I will now be on the hunt for more variations. This entry was posted in This Week on Instagram and tagged this week on instagram on September 19, 2014 by Ariana Raftopoulos. Thank you, Olia. I will be sure to check out your blog. Love the fall decorations! Those little pumpkins are adorable.